A SoundCloud player that lives in your menubar. Music is meant to be listened to — without getting in the way of your daily tasks. 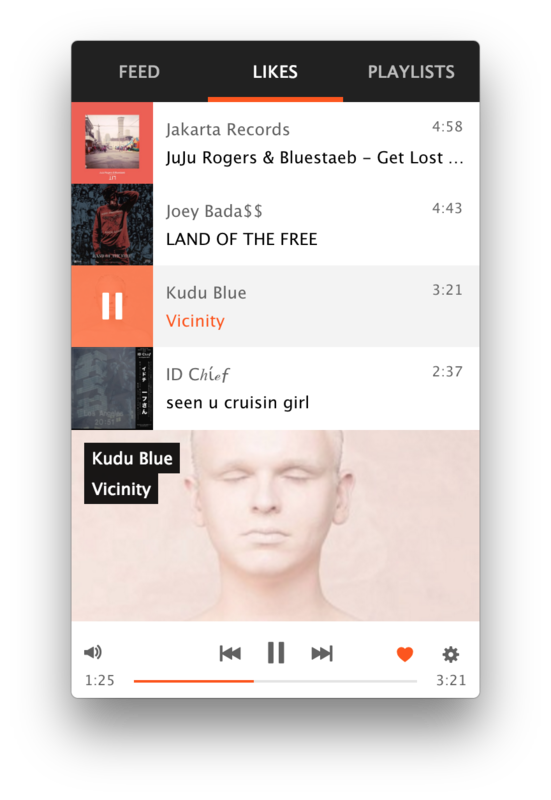 Cumulus will notify you when a new track is playing, so you always know what you're listening to. Cumulus supports media keys out of the box, no hassle and no extra setup required. It's also really fast, thanks to the technologies that power it. Interested? Take a look under the hood. Cumulus is powered by React and Flux. Made with by a few geeks.